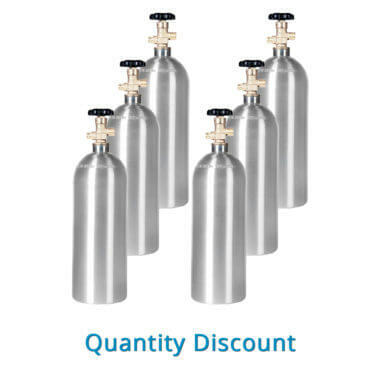 6 new premium aluminum 5 lb CO2 cylinders. 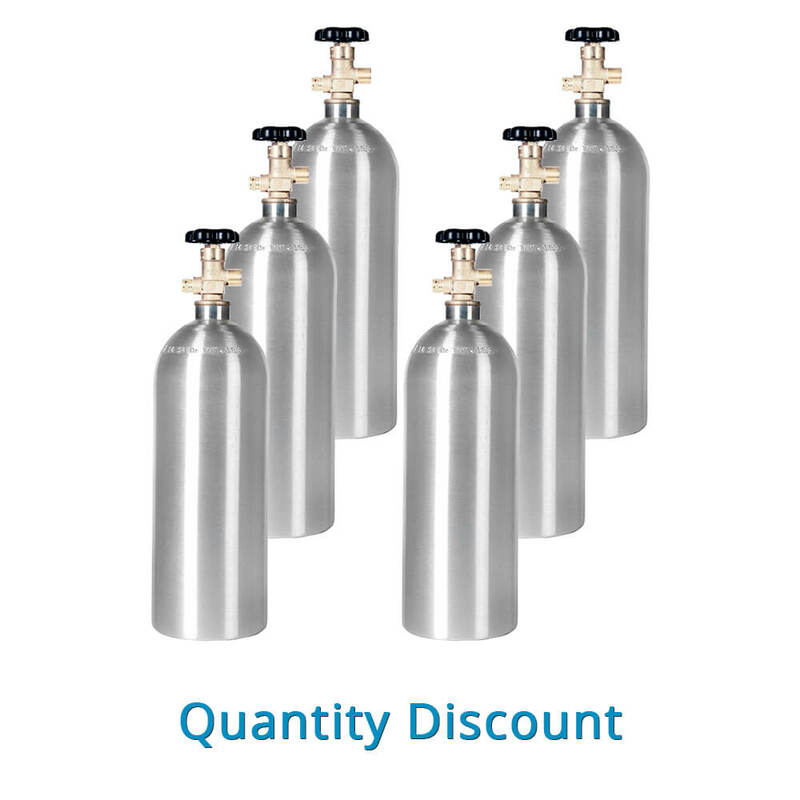 Compact quality in a CO2 tank that works, with great volume discount savings on a six pack. New 5 lb aluminum CO2 cylinder with new CGA320 valve. The industry standard mid-size CO2 tank that combines top performance with easy portability. 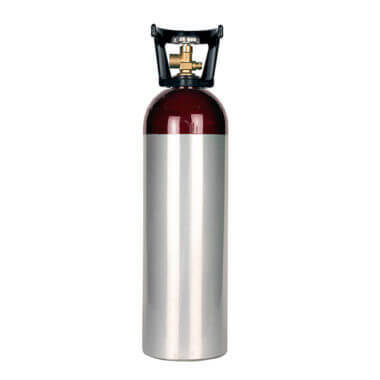 Aluminum cylinder is up to 40% lighter than the same in steel. 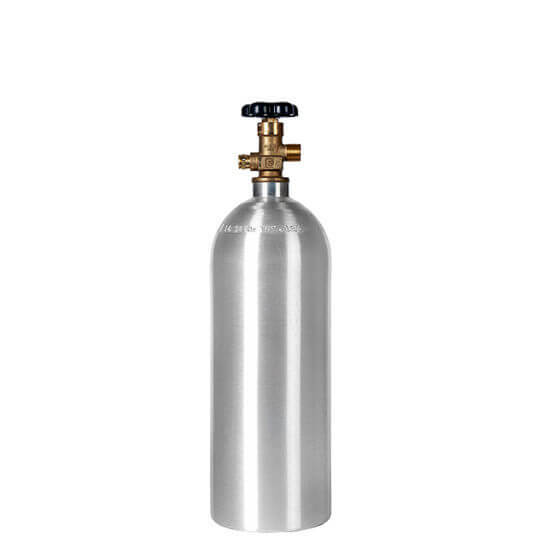 CO2 tank is finished with an attractive and durable brushed exterior. Thick walled construction for long term use without fractures or leaks. Guaranteed fresh – manufacture date or hydro test within 180 days of shipment. DOT and TC approved with consistent TARE weight. A full list of features can be found in the single cylinder listing. 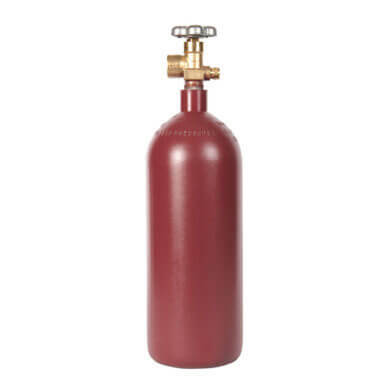 5.3″ diameter, 17.9″ in length (with valve). 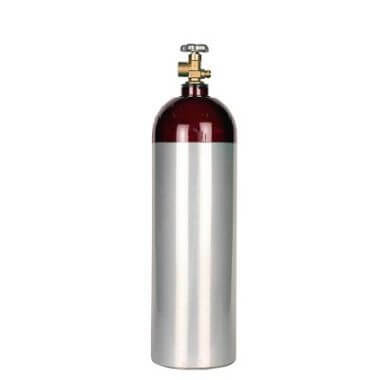 Find this CO2 cylinder and other high-quality CO2 tanks – individually and at volume prices – on the CO2 cylinder page.